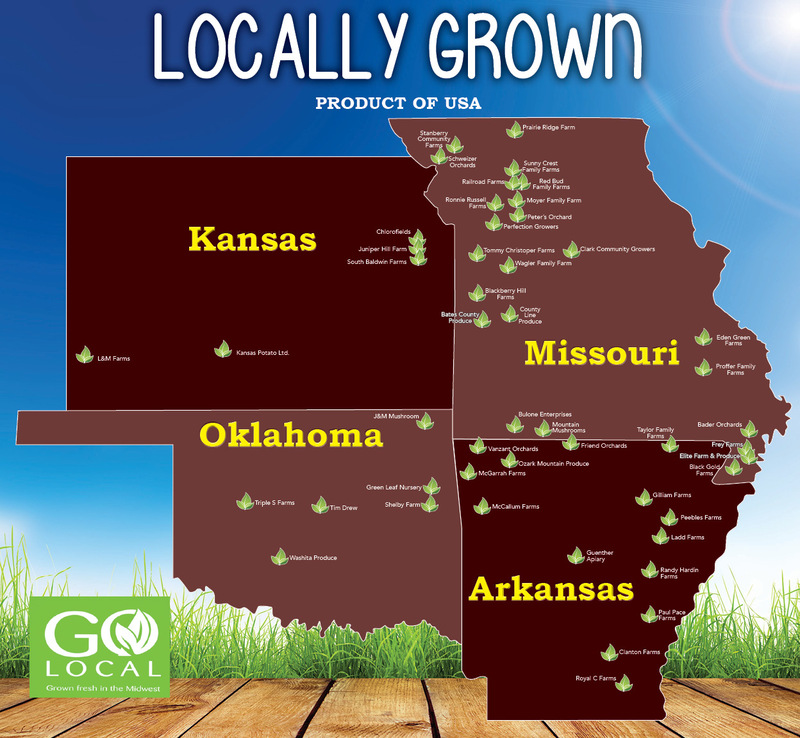 As a local hometown grocer for over 85 years we are committed to each community we serve throughout Arkansas, Kansas, Missouri and Oklahoma. We are proud to support our local farmers and consider locally grown produce to be sourced within an eight hour drive of the store and no more than 400 miles. Please see the map of some of our locally grown partners. If you would like to apply to be a Harps Vendor Partner, click here.